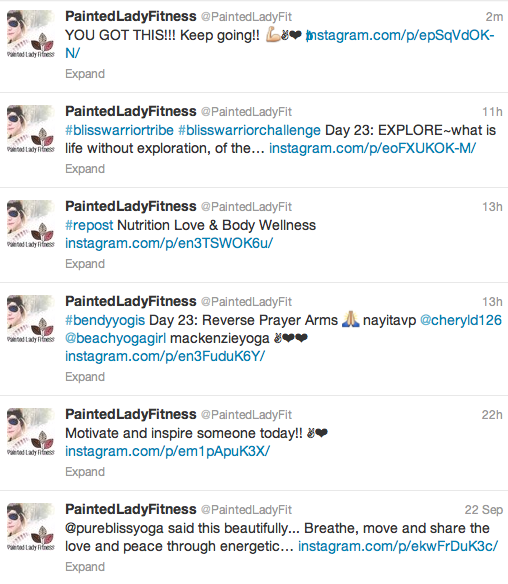 One of my favourite accounts on Instagram is Painted Lady Fitness. Their page features at home work outs, yoga poses, fitness challenges, and diet tips, each with an eye to behaviour modification, and over all well being, rather than cold, hard, facts, and cold, hard weights. Don’t get me wrong, there is a definitely a place in my heart for black and white, “do as you are told” work outs. But since my injury, I’ve been taking a different approach to fitness, and have made room in my life for simpler, softer, and safer exercises. This account has been a terrific assistant on my road to recovery. Each time I check out their Instagram, or Twitter I am greeted by great little poses, mini work outs, and messages of encouragement. The proprietor of Painted Lady Fitness, Ashley Silversides is a certified personal trainer, and lifestyle coach – and a legit tattooed babe! Really, if you were to put all my interests in a jar, add water, and shake – you’d get Ashley. Painted Lady Fitness has created a remarkable, and memorable brand by embracing her obvious physical differences, and highlighting her unique perspective. Both the brand name and their slogan “Turn over a new leaf and paint your own self-image, the way you want!” are catchy, noteworthy, and effective. While you may get similar advice at a gym near you, or from the many other online fitness profiles out there, Painted Lady Fitness is in my opinion one of the top fitness advice and encouragement accounts out there. Follow along for fresh information each day, or sign up online for a package. 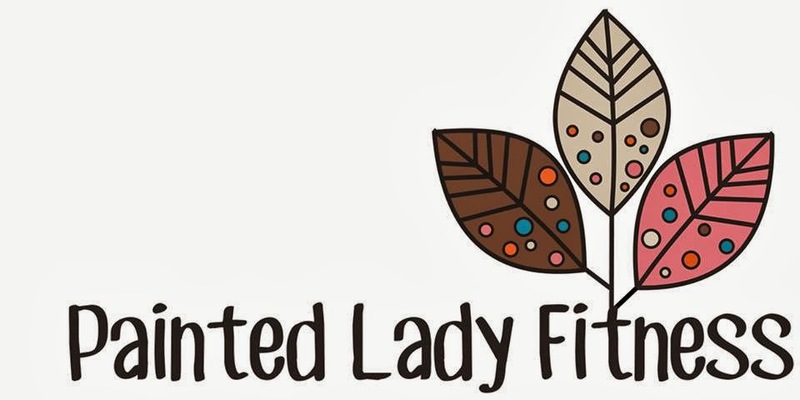 Painted Lady Fitness offers monthly fitness programs, basic nutritional information and exercise equipment suggestions based on each individual client, and their specific needs. Her online accounts are just the tip of the iceberg.